For Earth Day, C&G is reflecting on our interpretive landscape design at the West Point Foundry Preserve in Cold Spring, New York. The project for Scenic Hudson gave us a chance to create a unique suite of interpretive historic exhibits and graphics, and to design for conservation culture. Before nature reclaimed the land in the early 20th century, West Point Foundry was a bustling ironworks that famously produced steam engines and civil war cannons. In 1996 Scenic Hudson purchased the land, transforming the archaeological ruins into a historic nature preserve teeming with wildlife. 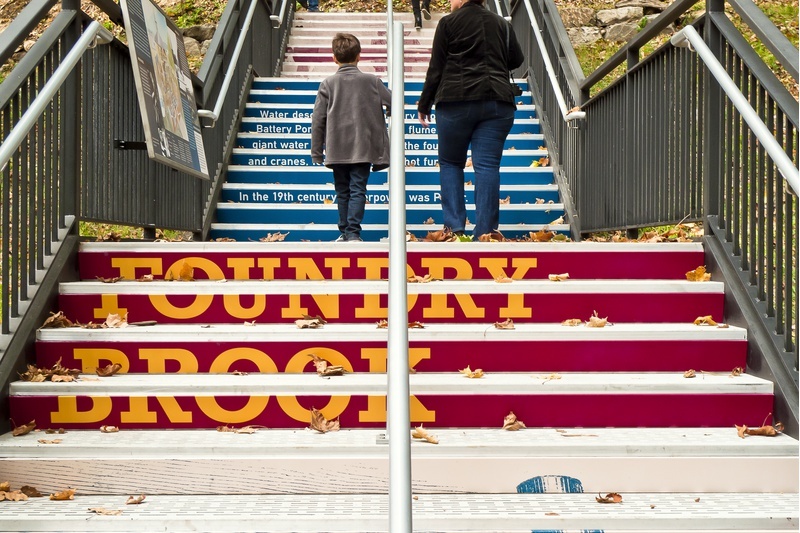 C&G Partners created a series of interpretive outdoor installations for the Preserve, utilizing low-impact technologies and abundant materials (such as the former foundry’s used bricks). We wanted to comment on the area’s history as well as its ecological rebirth. The design work was done in collaboration with Mathews Nielsen Landscape Architects and our clients. The area was recently certified by the sustainable sites initiative SITES. 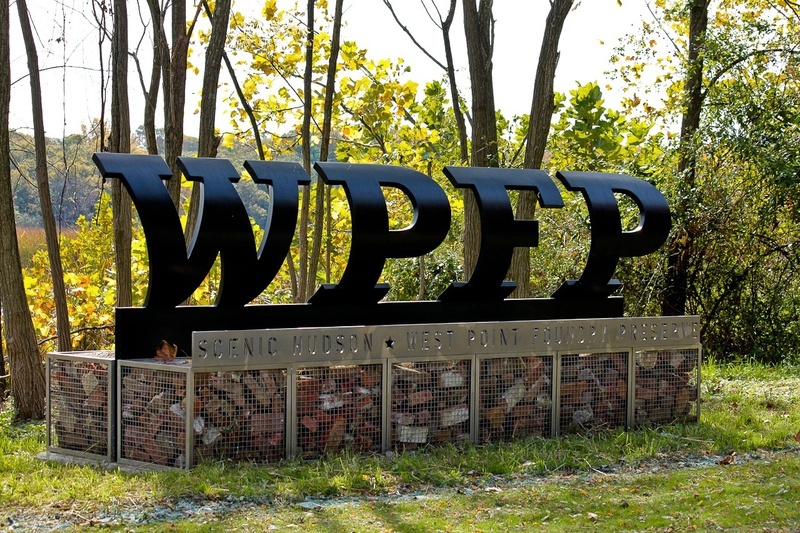 The firm's customized slab-serif type, based on the foundry’s original raw-iron stamp, can be seen throughout the Preserve's cast-iron brand and the site's signage and wayfinding. 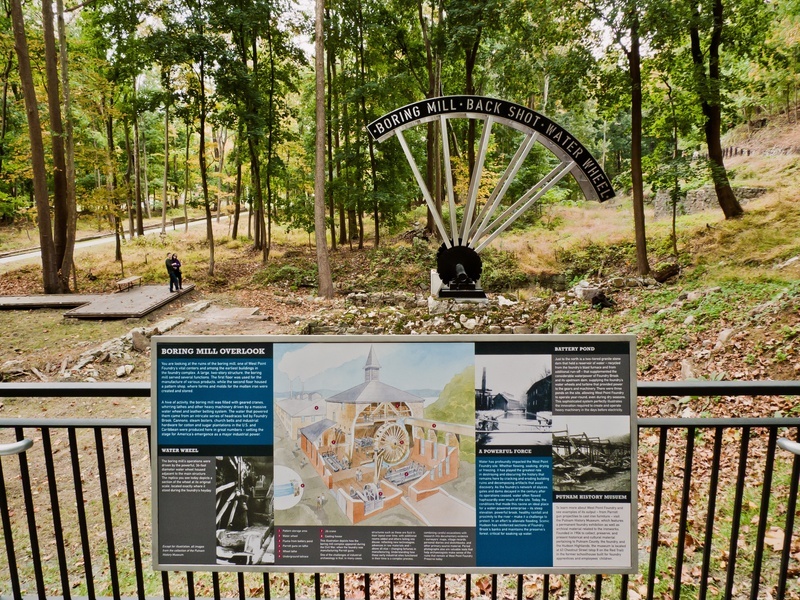 Kiosk content is illustrated with period photographs, hand-finished maps, and schematics from the Foundry’s archives housed at the Putnam History Museum located adjacent to the site. 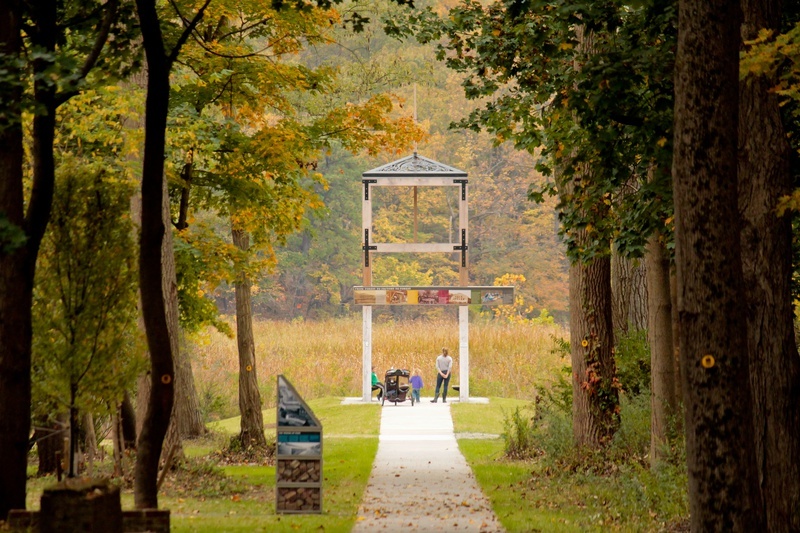 Among the Preserve's landscape elements is a full-scale sculptural model of the 36-foot water wheel that powered the Foundry's boring mill and a 32-foot high wooden gun platform overlooking the marsh. Read more about the project in this article by SEGD, the Society for Experiential Graphic Design.